OPEN HOUSE THIS WEEKEND FROM 11 AM-4 PM, Saturday and Sunday. 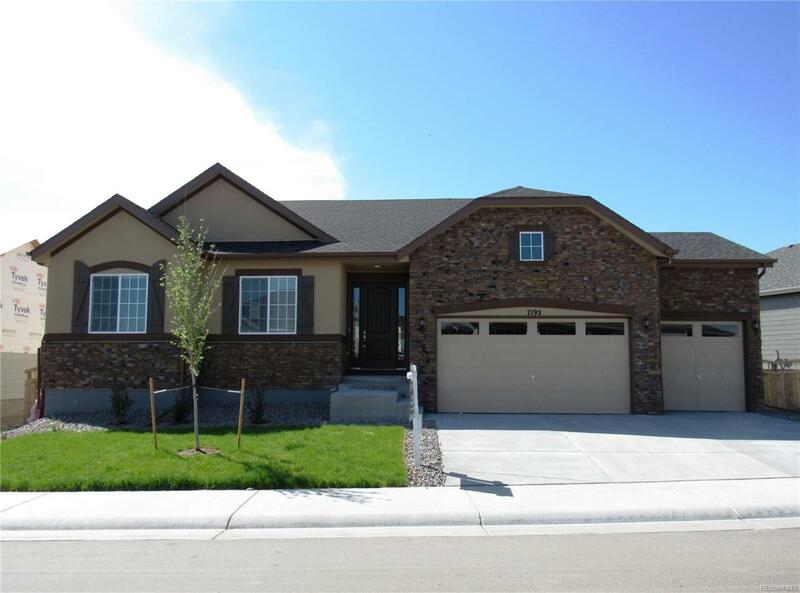 This Brand new home is finished and ready to move-in now!! A stunning stone and stucco front welcomes you home. A wide open entry leads you past a study, the laundry, secondary bedroom and full bathroom. A spacious great room, formal dining room and a beautiful kitchen are open for entertaining. The gourmet kitchen features Maple Toffee cabinets with White Zeus quartz counter top and stainless steel appliances including a refrigerator. The master is privately situated in the back with a bay window and an enormous closet. Access to the covered patio comes from either the kitchen or the master bedroom All landscaping included, ready to move-in now! Cobblestone Ranch is a master planned community with a community pool, tennis courts, and abundant outdoor recreation. Convenient access to I-25, Parker, and Downtown Castle Rock.